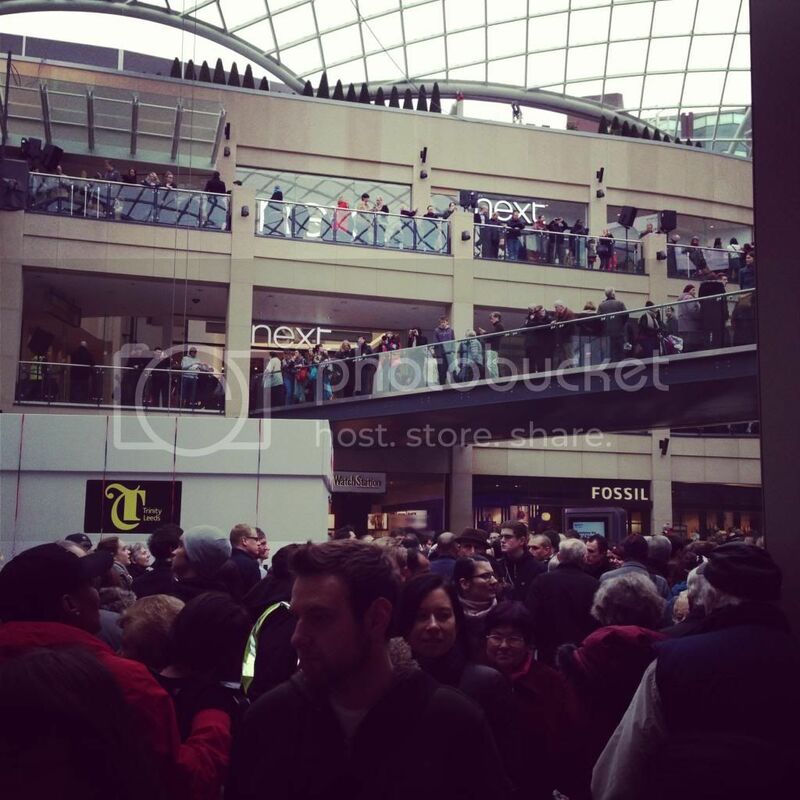 This morning saw the much awaited opening of Trinity Leeds. With over 100 new stores slap bang in the city centre and being the only new shopping centre to open in the whole of Europe in 2013, it has definitely caused quite a stir. Whilst I wasn't invited to the official press launch with some other Leeds bloggers (Laura and Jen amongst others), missing out on the fluro pink vests, I did get down to have a general wander round and see what was going on. Henry Holland created this record breaking, 15ft dress as a part of the opening ceremony, with his acrobatic model suspended from the ceiling! This is the longest designer dress in the world. I must admit there was quite an atmosphere, with everyone pretty excited to see the new stores, staff creating welcoming and upbeat stores and Coast walking umbrella-holding-leggy-models through the upper level. Quite disappointingly, not all of the stores were open, with the likes of Victoria's Secret and Primark not opening until late this Summer. Next, Warehouse, Urban Outfitters and New Look have all moved into the Trinity lower and middle levels alongside new names for Leeds Hollister, Mango, Apple and Candy Kitten. 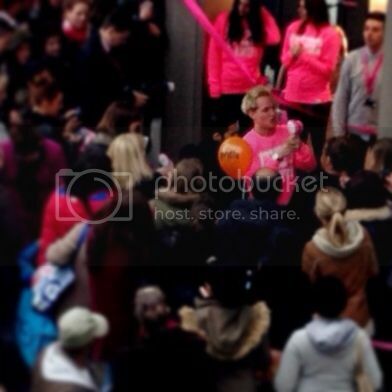 We walked past the gorgeous Jamie Laing on the escalators (I could have TOUCHED him as he wasn't surrounded by people) on the way to his official opening of the Candy Kitten pop-up store. He was giving out free Lollies to the flocks of girls outside the shop, sporting a fluro pink 'Pardy Pardy' sweater. The top floor houses all of the restaurants, with some new names such as Giraffe alongside firm favourites Nando's (did we really need another?!) and TGI's. 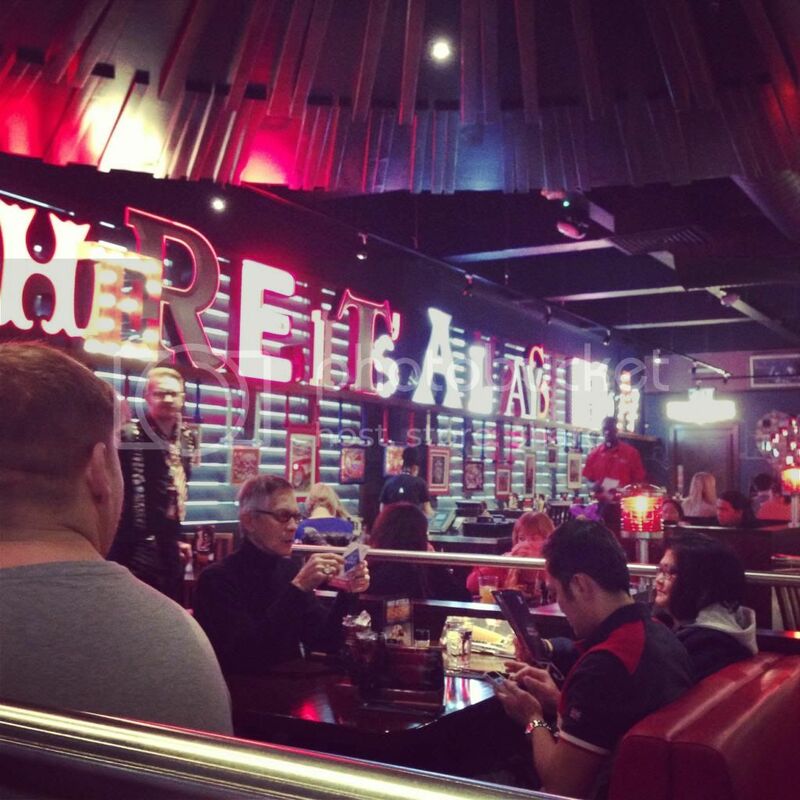 We picked TGI's as all of the newer restaurants were already packed by 12pm, and who can pass up on a Jack Daniel's Burger... 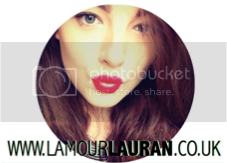 The staff were lovely and the food was yuuuum! 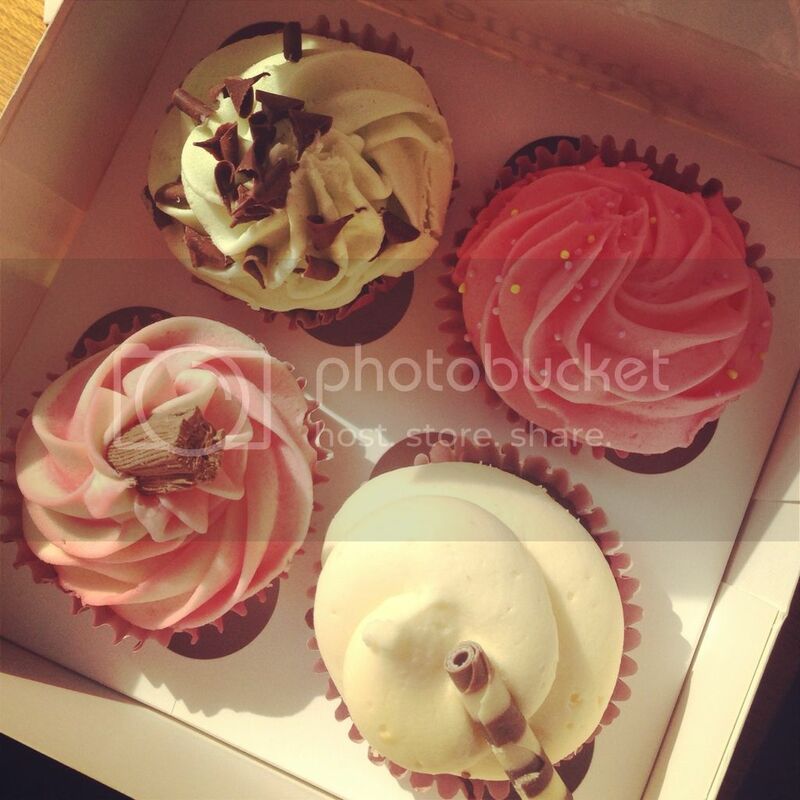 On the way out we picked up these lovely little cupcakes from Johnnie Cupcakes on the lower ground level, who also make giant cupcakes,(mental note for my birthday cake there!) for £1.50 each. They were AMAZING! The building itself is architecturally stunning, with a glass fronting and roof, it takes up a large proportion of Leeds' shopping quarter including the old Shopping Plaza and three of the main shopping streets. I can definitely see Trinity Leeds being regarded as a main shopping destination from now on rivalling bigger cities. They have shops for everyone and have finally brought in brands that can usually only be found in Manchester or Sheffield, into Leeds City Centre. The downside is that it is effectively a covered street, meaning it is absolutely FREEZING inside (leading to a mass huddle up in Hollister where there was both heating and hot guys) but if you're more warm blooded than I am this won't bother you. Hopefully, the rest of Leeds city centre will be boosted by this three year, £350million building venture and will not leave it a ghost town full of empty shop fronts! 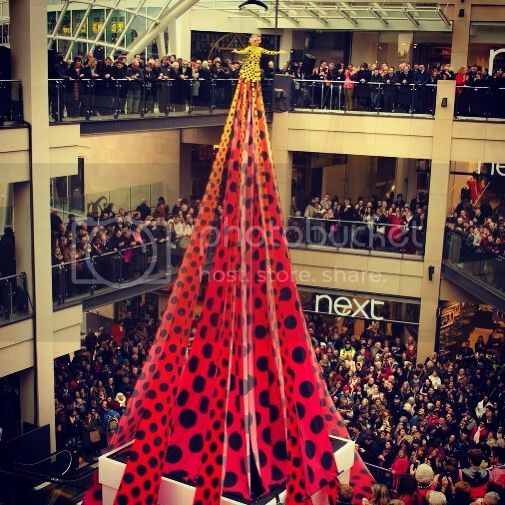 Were you at the opening of Trinity Leeds? I'm really looking forward to Victoria's Secret opening in the Summer!